Wine gains more fans every year (in 2014, marketing charts noted a 16-year consecutive increase in wine sales) and new wine connoisseurs like you are looking for ways to safeguard their bottles at just the right temperature. But which wine refrigerator should you go for? Dual-zone, built-in or freestanding? Equipped with inclined shelves to show the labels? The choice is infinite but AlphaChooser weeds out the way for you. 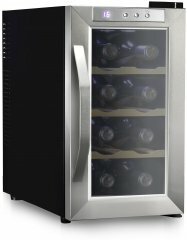 Currently, the best wine refrigerator 2019 is the Whirlpool WUW35X15DS, followed by the NewAir AWR-1600DB. Here is the full top 10 list, followed by special categories and, finally, an extensive list of wine refrigerator brands and models. Considering its aggregate ranking of 91%, we determined that the Whirlpool WUW35X15DS is currently Alphachooser's best wine refrigerator 2019. We also believe that our 135 reviews sampled from our sources give us a high confidence level (more on confidence levels) that justifies to call it a "no-brainer best choice." With its star rating of 4.5 computed from 51 reviews, here is what we consider second best wine refrigerator. * By the way, our list is based on an in-depth analysis of hundreds of wine refrigerator reviews from around the web. The Vinotemp VT-ECO28SB-01 is the latest model by Vinotemp. 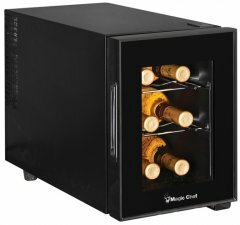 The Wine Enthusiast Cellar Deluxe 268 75 52 03 is the latest Wine Enthusiast model. All Wine Enthusiast wine coolers. The EdgeStar CWBV8030 is the newest EdgeStar one. The Allavino VSWR30-2BWRN is the newest Allavino one. 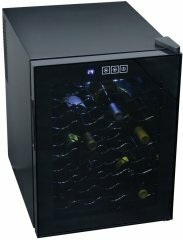 The Danby DWC040A3BSSDD is the newest wine refrigerator by Danby. The Whynter FWC-341TS is the newest Whynter model. The Newair AWR-190SB is the latest Newair one. The Kalamera KR-18ASS is the latest Kalamera model. The AKDY AZ-WC0038 is the newest wine refrigerator by AKDY. 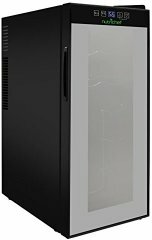 The Summit SWC902D is the newest Summit wine refrigerator. The Avanti WCF282E3SD is the newest wine refrigerator by Avanti. The SPT WC-0802H is the latest wine refrigerator by SPT. The Haier HVTEC18DABS 18-bottle is the newest Haier wine refrigerator. The Tresanti Wesleyan is the newest Tresanti one. The Koolatron 12 Bottle Dual Zone is the latest model by Koolatron. The Curtis Igloo MIS2433 is the latest Igloo wine refrigerator. The Ivation IVFWCT241DB is the newest Ivation wine refrigerator. The NutriChef PKTEWC16 is the newest model by NutriChef. The Koldfront TWR121SS is the newest Koldfront model. 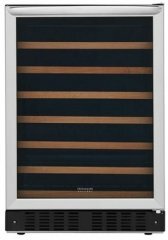 The Frigidaire FGWC5233TS is the newest Frigidaire wine refrigerator. The Kitchenaid KUWL204EPA is the latest KitchenAid model. The Firebird FB-WC0041 is the newest Firebird model. The Thor Kitchen HWC2405U is the latest model by Thor Kitchen. All Thor Kitchen wine coolers. The Cuisinart CWC-1800TS is the newest Cuisinart model. The Avallon AWC241FD is the latest Avallon one. The KingsBottle KBU-100COMBO-BW3 is the newest KingsBottle model. The GE GWS04HAESS is the latest GE one. The Westinghouse WWT080MB is the latest Westinghouse wine refrigerator. The Marvel ML24WS is the newest model by Marvel. The Magic Chef BTWB530ST1 is the newest Magic Chef one. All Magic Chef wine coolers. The Phiestina PH-150BCW is the latest wine refrigerator by Phiestina. The Homeimage HI-18T is the latest wine refrigerator by Homeimage. The Avalon Bay AB-WINE12S is the newest Avalon Bay model. All Avalon Bay wine coolers. The Electrolux EI24BL10QS is the newest Electrolux one. The Whirlpool WUW35X24DS is the latest Whirlpool one. The Emerson ER102001 is the newest Emerson one. The DELLA 057-WC-57205 is the newest DELLA one. The BESTEK BTWC025 is the latest BESTEK one. The Le Cache Contemporary 5200 is the newest model by Le Cache. All Le Cache wine coolers. The Insignia NS-WC45BK7 is the newest model by Insignia. The Smith and Hanks RW88DR is the newest model by Smith and Hanks. All Smith and Hanks wine coolers. The Rosehill ELG EL42DD is the newest Rosehill wine refrigerator. The Electro Boss 5330 is the latest Electro Boss wine refrigerator. All Electro Boss wine coolers. The Sinoartizan ST-54D is the latest Sinoartizan one. The Smad BKS-54SZ-5 is the latest wine refrigerator by Smad. The Costway Thermoelectric HW54591 is the latest Costway wine refrigerator. The Aobosi YC-150A is the newest Aobosi model. A micro-class cooler that holds up to four standard wine bottles within a single-zone and apparently draws only half a kilowatt-hour per day. 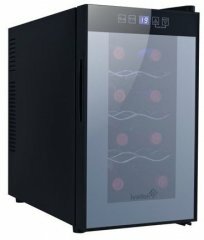 A modern-looking dual-zone thermoelectric wine cabinet that has a heating technology to stabilize temperatures. Rather typical 140-bottle free-standing wine cooler equipped with a reversible double-paned glass and six wooden shelves.